Tissue Histology – Gary L. Heller, D.O. Suspicious lesions and moles on the skin require medical evaluation. In order to accurately determine whether skin cancer is present, a biopsy and histological review is necessary. The type of biopsy used depends on a few factors, such as the type of cancer that is suspected and the size of the lesion. Dermatologists use four types of biopsies to diagnose cancer cells. Some of them are performed in-office, while more invasive procedures are performed under anesthesia at an outpatient healthcare facility. Biopsied tissues are sent to a pathology department for a complete histology of the lesion and surrounding tissues. Skin cancer can spread to the healthy tissues surrounding it, and a histology report will reveal whether skin cancer exists, and if so – whether it has spread anywhere outside of the lesion. If skin cancer is found, the histology report will reveal whether it is a melanoma or non-melanoma. Staging is determined by the thickness of the tumor and whether it has invaded surrounding tissues, spread to one or more lymph nodes or metastasized to other areas of the body. The results of the tissue histology will determine which steps to take for treatment if necessary. 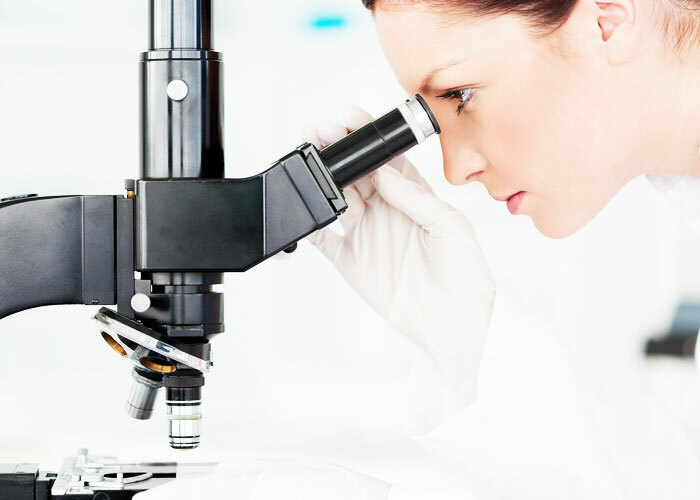 Dermatology Laboratory is a comprehensive, state-of-the-art laboratory owned by Dr. Gary Heller that offers a variety of dermatopathology services. Dermatopathology is a subspecialty of dermatology and surgical pathology which studies skin diseases at a microscopic level. Our pathologists provide accurate and timely diagnoses of all skin disorders using state-of-the-art equipment. Microscopic examinations are performed for all types of skin disorders including cancer and inflammatory conditions of the skin. Dermatology Laboratory serves as a training site for certification of histology technicians and fully supports research activities performed at Belleair Research Center located next to the laboratory and dermatology clinic.